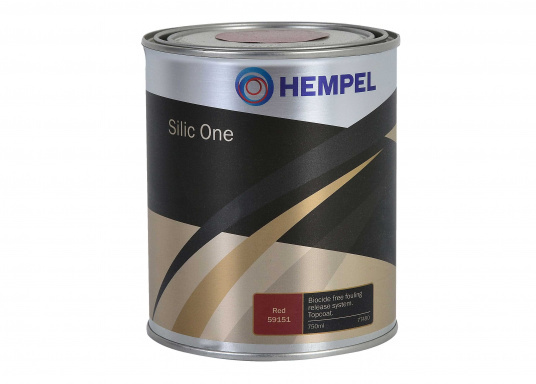 The fantastic biocide-free product SILIC ONE works on the basis of silicone and hydro-gel, which give your hull's surface water-like properties. Thus fouling organisms cannot settle and attach as easily on the hull and will fall off as soon as the boat is in motion. The fantastic biocide-free product SILIC ONE works on the basis of silicone and hydro-gel, which give your hull's surface water-like properties. Thus fouling organisms cannot settle and attach as easily on the hull and will fall off as soon as the boat is in motion. It is suitable for both fast motor boats as well as sailboats. Other impressive benefits also include the fact that any fouling can be easily removed and the coating can be re-applied very easily. This leads to long-term cost savings. Can be applied on all surfaces, except for wood. Hydrogel is based on unique, non-reactive polymers, that are added to the paint and form an invisible protective layer between the hull surface and the water. Vegetation forming organisms perceive the hull as a liquid and therefore are a lot less likely to stick to it. 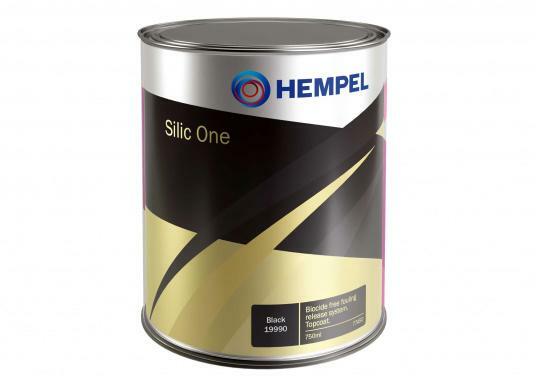 To ensure optimum adhesion of the SILIC ONE, the hull's surface has to be primed first. We recommend HEMPEL LIGHT PRIMER (SVB Art. 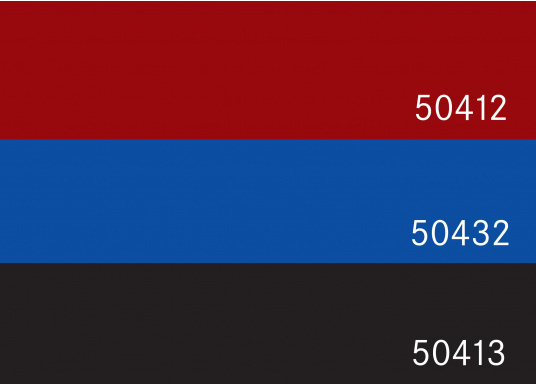 No 50011) . Then apply a layer of HEMPEL TIECOAT. Using SILIC SEAL, a 2-component epoxy primer makes it even easier to migrate from conventional antifoulings to SILIC ONE, as SILIC SEAL can be applied to previous antifoulings if they are in good condition. When applying SILIC ONE for the first time, two layers are the minimum. For all following applications one layer is sufficient. After 24 hours, the boat can be launched. The maximum time span until launching should be no more than one month. Flat brush or lambs wool roller are ideal for the application of primer and top coat. Kan schade aan organen veroorzaken bij langdurige of herhaalde blootstelling. Verwijderd houden van warmte/vonken/open vuur/hete oppervlakken. – Niet roken. J'ai testé le produit malgré les réticences de tout mon entourage en mai 2018. Je viens de sortir le bateau et j'ai eu la bonne surprise de ne rien avoir à faire sur la carène mis à part passer un coup de karcher et faire deux petites retouches! Possibilité de laver la coque avec une éponge de temps en temps, en profitant d'une baignade. Leider war die Ergiebigkeit beim Silic One selber geringer als angegeben. Nach knapp eineinhalb Jahres im Wasser (Ostsee, Nordsee, jetzt AtlantikKanaren) war der Unterwasserbereich nahezu ohne Bewuchs. Reinigung mit dem Dampfstrahler und ein Anstrich reichen nun wieder für 1 12 bis 2 Jahre. Ein Antifouling, das wirklich überzeugt. Und SVB ist vermutlich einer der wenigen wenn nicht sogar der einzige der problemlos auf die Kanaren liefert. Und das für (wie ich finde) günstige € 20 für 7 Dosen Farbe. Sogar bei Amazon.es heißt es bei vielen Produkten "Lieferung auf die Kanaren nicht möglich". SVB hat außerdem die 19% MwSt. abgezogen (rund € 50). Der Satz beträgt auf den Kanaren nur 7%, allerdings hat uns der Zoll diese (bisher) nicht in Rechnung gestellt. Die Verarbeitung ist etwas anspruchsvoller, dafür überzeugt das Ergebnis. Die Verarbeitung ist zwar etwas anspruchsvoller, dafür überzeugt das Ergebnis. Verarbeitung prima, mal sehn was dran hängen bleibt.